Elsa Kudo was born in Canete, Peru, where her parents ran a successful store. 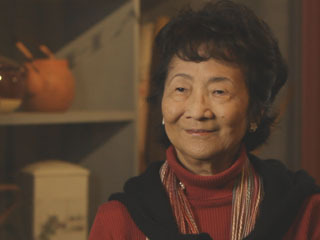 During World War II, her father was arrested, deported to the U.S., and held at the Crystal City internment camp, Texas. In this clip, Elsa, a child at the time, describes her mother's difficulties in taking her children alone to reunite with Elsa's father in Callao, Peru, before making the trip as a family to the United States. Elsa Kudo's full interview is available in the Densho Digital Archive.